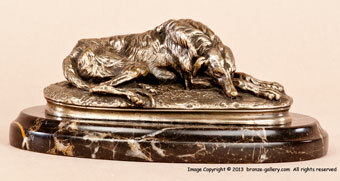 Gayrard's Reclining Deerhound is probably one of the best known dog sculptures in the world. 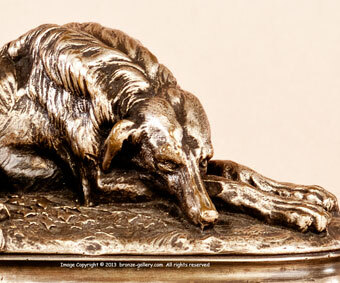 A fine model in its own right, the Deerhound was first sculpted in 1848. 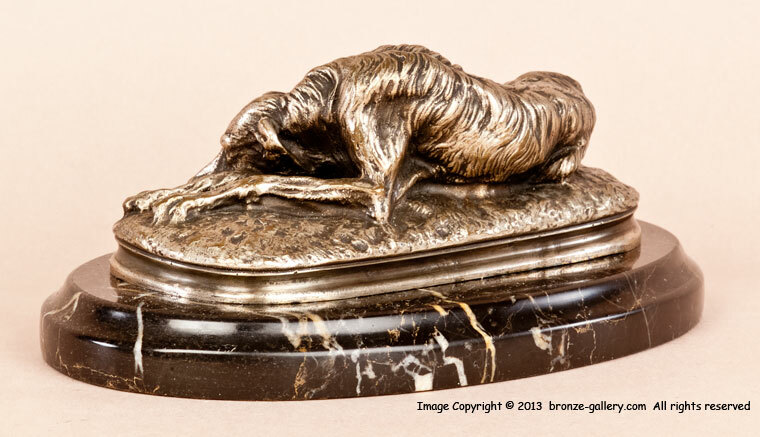 Unfortunately this fine sculpture has been copied unmercifully for many years, even to the point where Gayrard's name has been removed and other names, such as Deva and Mene have been added to these copies. The copies are not always done in bronze, many are cold cast resin plastic, iron, and white metal. So this is a model to be careful with. Our bronze of the Deerhound dates from the mid 19th century, it is a superbly detailed original bronze cast with a fine silvered patina. 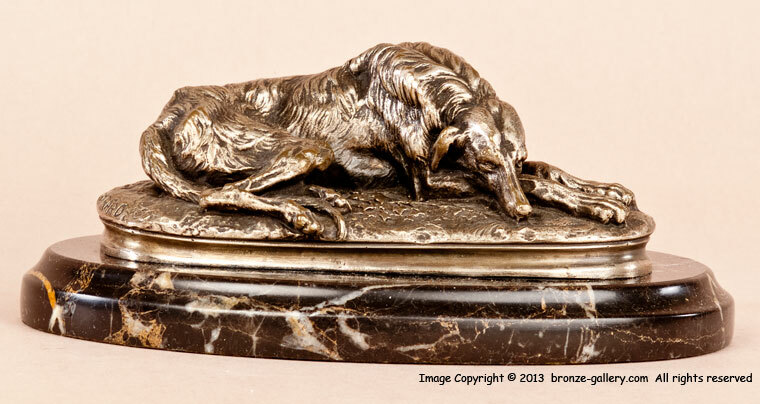 The sliver patina enhances the shaggy fur of the Deerhound and compliments this model nicely, It is mounted on the original fancy beveled marble base which is 7.5 inches long by 4.75 inches wide. A beautiful portrait of a Deerhound at rest.